Enjoy a cup of coffee with some friends while your children play. We are never completely off duty, but it’s nice to have the option to enjoy some adult conversation while watching your kids have a good time too! 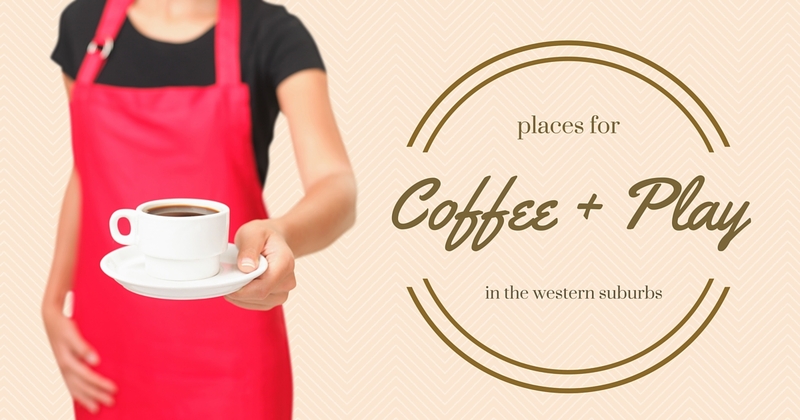 Here are some indoor places to meet for coffee and play. Comment below if you know of other places where moms and kids can meet up for coffee and play! Meghan and her husband live in Downers Grove with their two sons ages six and seven and their four year old daughter. She is a transplant to the Chicago area and absolutely loves all that the western suburbs have to offer for her young family. One of their favorite places to visit year round is the Morton Arboretum. During the summer months, they love to garden, bike, swim, and play golf together. In the winter, Meghan and her children are happy to be home trying out new kid friendly recipes and being creative. As a former teacher, Meghan believes in a healthy balance of unstructured play and scheduled activities. She is excited to be part of the Kidlist team and wants to help families add fun and laughter to their days! 3 Comments on "Coffee and Play in Chicago’s Western Suburbs"